The logistics, the scheduling, and the STUFF. When you need to move quickly and efficiently, too many decisions and coordination lead to overwhelm fast. Our baby boomer clients often tell us they never needed any organizing help in the past, but that this feels different. Downsizing, especially when it’s urgent, disrupts every aspect of your life. As your Move Manager, SolutionsForYou brings serenity to a chaotic life change full of high-pressure decisions. We orchestrate every moment of your move so you have time for the more important aspects of a new transition. We make moving easy with a process based on our 5 Steps to Organizing®. Your dedicated Move Coordinator outlines every step in a move plan so you’re clear about the entire process. Your Move Coordinator helps you locate and hire the most qualified move team for your needs. These may include reputable moving companies, house cleaning services, home repair services, home stagers, rubbish haulers, places to donate, or eBay sellers. Your Move Coordinator is on site every step of the way to be sure your move goes as smoothly as possible. Your Move Coordinator helps you prioritize what belongings are the most important and necessary to you; one of the most overwhelming tasks of moving. You get as much hands-on help as you need to select what you will bring with you to your new home. We have tools and resources to help you visualize your new home or to recreate the look and feel of your current home. We’ll plan your new space around the way you live day-to-day. Your well-being and safety are our number one focus. We oversee every moment of your move, from in-home packing to seeing your belongings safely on and off the professional mover’s truck and into your home. We unpack every box and prepare your new home. When you arrive home your beds are made, clean linens are hung in your bathrooms, your kitchen is organized and labeled, packing materials are gone, fresh flowers await you. We tap into Portland’s best resources to donate, recycle, or sell belongings (on your behalf) that you’ve decided to leave behind. You can also ask us to arrange for rubbish removal, house cleaning, or minor repairs to your current and new home. “SolutionsForYou, Inc. handled all aspects of my husband’s and my move from our home to The Springs at Tanasbourne (a senior community). We moved from a 2,200 square foot home to a 640 square foot apartment. Anne personally worked alongside us to help identify what to keep that would fit into our much smaller apartment. She created a floor plan so we would know exactly where our furniture could fit. Anne was very sympathetic and helpful with our downsizing, which could have been traumatic for an old couple! Anne took me shopping at Ikea and The Container Store and helped me select furnishings and organizing products to maximize our space. Anne made all the arrangements with the movers to pack and move our belongings to The Springs. Anne and her team unpacked, organized and placed everything in our new home. We simply walked in and began our new life. I highly recommend SolutionsForYou for downsizing and senior move management.” Priscilla E.
Will you help me with EVERYTHING? Yes. As your move manager, we are your single point of contact for every aspect of your move. We resource the team you will need, including moving companies, house cleaning services, home repair services, building managers, home stagers, rubbish haulers, places to donate, eBay sellers and more. We get hands-on with overall management, unpacking, and organizing your new home for the way you live - and find Portland’s best providers to be hands-on with the rest. Why don’t you pack up and move my belongings yourself? It’s not cost efficient for you. Reputable movers are experts in packing and moving and require separate insurance and licensing. As expert managers, we’ve seen that you receive true efficiency and value when each member of your team is doing what they do BEST. That goes for us, too. We are on-site with the packers to organize and label for maximum efficiency in the unpacking. What’s the benefit to me of your credentials? We are trained Senior Move Managers bound by a pledge of integrity, committed to safety and ethics, and dedicated to continuing professional development through our ongoing membership and training with the National Association of Senior Move Managers. See more about our commitment to learning and how it benefits our clients on our About page. You have a lot of flexibility in how you reach your moving goals. Our most popular packages are below. But if you don’t see one that’s right for you, we can always create a custom moving package tailored to exactly what you need. This package is designed for the person who is ready for full-service help with their move. We begin with a 90-minute strategy session and moving plan of action so that you’re clear on each step of the process and the resources you’ll need to accomplish your goals. Your move coordinator is on hand to help with prioritizing, sorting and labeling so it’s clear where each item is headed. To eliminate any doubt about what will fit into your new space, we’ll use tools and hands-on measurements to help you envision your new home. As your move manager, we’ll handle every moment of moving day, and will unpack within the agreed upon time. We’ll also find the best resources to handle any donations, recycling or rubbish. It is our experience that it takes approximately 22+ hours to complete a full service move of a moderate sized home. However, how long it takes hinges on how easily you make decisions about what to keep, what to discard, and how much there is to unpack. We recommend the above formula of hours, but it’s up to you how your project is scheduled within the allotted 24 hours. This is the most comprehensive move management program we offer. This package is designed for the person who wants overall move management with some hands-on help with targeted portions of their move. We begin with a 90-minute strategy session and moving plan of action so that you’re clear on each step of the plan and the resources you’ll need to accomplish your goals. We are on site on moving day to oversee packing and moving. We unpack a pre-determined amount of your home to get you started on settling in. We direct you to specific resources for donations, recycling and rubbish. It is our experience that it takes approximately 10+ hours to complete a Transformation Project. However, how long it takes hinges on how easy you make decisions about what to keep and what to discard. We recommend the above formula of hours, but it’s up to you how your project is scheduled within the 12 hours. This package is designed for the person that wants only a clear plan detailing what will happen when plus a little bit of hands-on help of either downsizing or unpacking during the move process. We begin with a 90-minute strategy session and moving plan of action so that you’re clear on each step of the plan and the resources you’ll need to accomplish your goals. 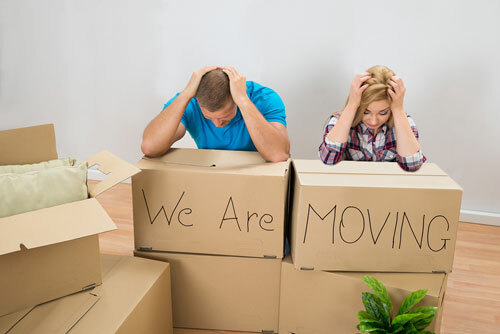 Then, depending on your needs, we will either assist you with downsizing or unpack a pre-determined amount of time to get you started on settling in. It is our experience that it takes approximately 4 hours to complete these projects. However, how long it takes hinges on how easy you make decisions about what to keep and what to discard. We recommend the above formula of hours, but it’s up to you how your project is scheduled within the 6 hours.